It’s an odd thing for a professional fighter, much less one competing for the largest and most recognizable MMA organization in the world, to be described as a domestic violence survivor. As spectators to gladiatorial combat on a near-weekly basis, we are conditioned to seeing these athletes, male and female, perform physical acts that are far beyond the capabilities of the average human being. The notion that they might be rendered powerless — brutalized — outside the cage, in their homes or gyms, jars with these perceptions. Yet it’s becoming something of a common occurrence. 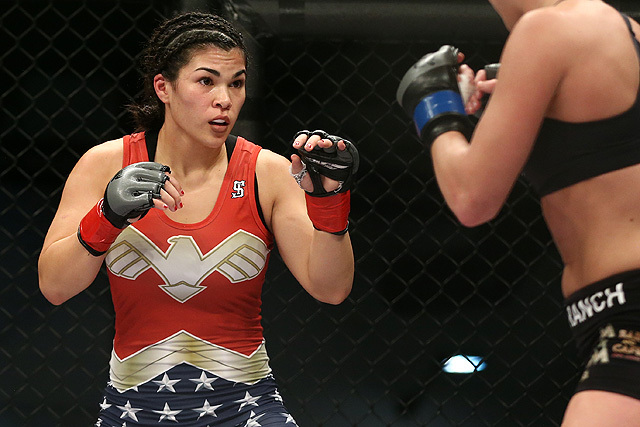 Rachael Ostovich, a 27-year old flyweight with a 1-1 record in the Ultimate Fighting Championship, is the latest fighter on the roster to be connected to this unnerving storyline.